L'Equipe is a nationwide daily French newspaper devoted to the world of sports. It has a significant online presence, including a popular weekly live web series, Chats Video Orange-Ligue 1 L'Equipe, interviewing players, managers and club owners involved in France’s top flight football league. Each interview lasts 30 minutes and the topic is determined by the watching audience. 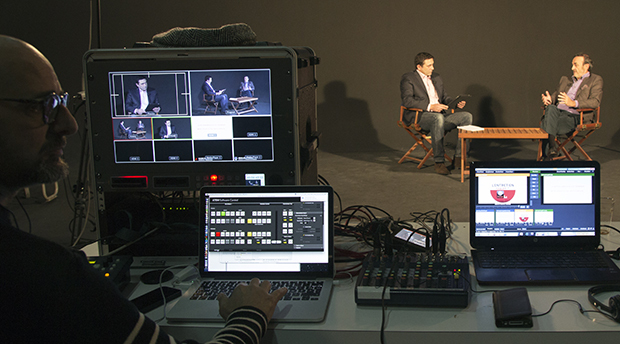 A moderator selects questions from the many thousands of live contributions and feeds those to a tablet used during the interview by journalists. Filming takes place at one of 20 clubs currently competing in France’s Lique 1. Handling the production and streaming of this series is Paris based Canalchat Grandialogue. 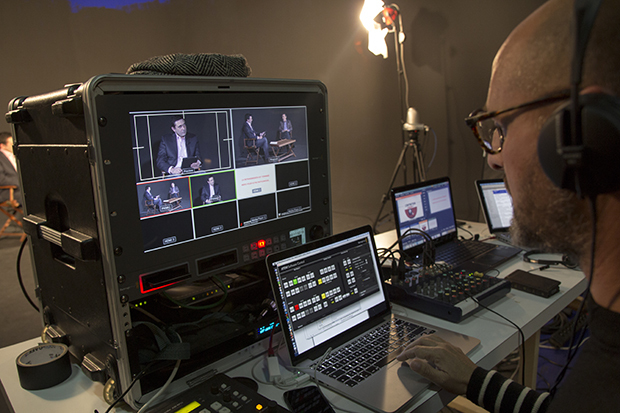 The fifteen man team has over the past 14 years produced more than 3,000 live video webcasts for a variety of companies, including France Television, Orange, Clarins, Citron, HSBC, Michelin and McDonald's. At the heart of these live productions is a compact flyaway kit built around Blackmagic Design products. Reliability and mobility were big factors when it came to developing the rig, according to Chief Operation Officer (COO) Frank Fellous. “And while the vast majority of our productions are still filmed in HD, we are beginning to see more interest from our clients in Ultra HD 4K. To keep ahead of the game we have just added a new 4K ready live event rig around Blackmagic Design’s ATEM Production Studio 4K. This has the added benefit of future proofing our business for 4K while allowing us to use the rig on existing HD jobs,” continued Fellous.